King's Residence, Kampong Cham is considered as one of the most important tourist attractions in Kampong Cham. 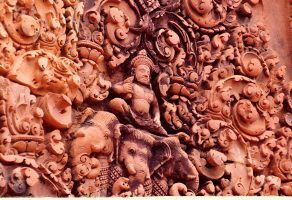 The ancient palace of King's Residence, Kampong Cham is visited by travelers from all over the world. 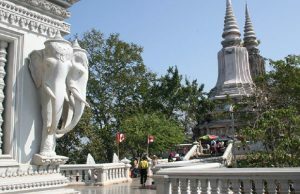 The King's Residence in Kampong Cham is known as the dwelling abode of the monarchs who ruled Cambodia for a long time. Kampong Cham has been under monarchical rule for a long time and the complex of the King's Residence has been deserted for a sometime. The complex comprises an outside building which was used by the local people so that they can come and meet the king. 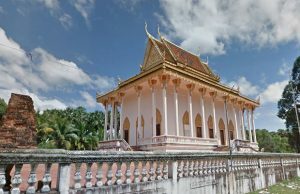 The premises of King's Residence, Kampong Cham include a beautiful fountain.Once you are inside the King's Residence, Kampong Cham you can see a number of chambers which were used for various purposes. The sprawling architecture is spread over acres of land. The King's Residence, Kampong Cham stands tall as a testimony to all the events that have taken place over the years. The mansion has been a silent spectator of all the glories and grandeurs of the monarchs of Cambodia. Today the ground of King's Residence, Cambodia is used for various purposes and one can see the elders of the town taking an afternoon stroll down the paths of the palace. The palace which was an epitome of class and grandeur is now used as a gathering place for the common people. 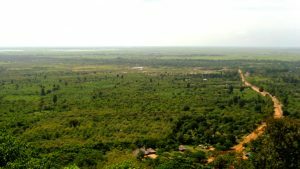 Among all the attractions in Kampong Cham one should not miss the King's Residence, Kampong Cham at any cost.